I am pleased to announce that my head of potions Dr. Paul will be hosting a very special Valentine’s Gin Love Potion Masterclass at the clinic, for all the couples in need of love prescriptions on the 16th of Feb, 2019. 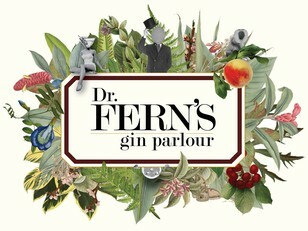 Dr. Paul and my team will teach you about the wonders of gin and the world of botanicals, and carefully guide patients through the flavours of 4 unique gins, each of which he has personally handpicked alongside our botanical garden to garnish your own gins which will be enhance the flavours of love, lust and passion. Join me and Dr. Paul at the clinic for an exclusive Valentine's masterclass with your partner and indulge in our edible prescriptions. You can even upgrade your appointment and add a Valentine’s Prescription Gin Kit at $800 for you or your loved one. This set includes a bottle of the limited Gibson Edition Copperhead Gin, Fever-Tree Tonic, botanicals and tools including a special note from me unveiling how to make the perfect G&T (worth $880). Please note tickets are limited.